She closed her eyes, feeling the warm sun’s rays against her skin. It was the summer before college, and things couldn’t have been any better. Or so she thought. Suddenly, she felt a sharp ping on her stomach… and then another. She opened her eyes and realized that they were tiny rocks, each one aimed at her belly button. The culprit was Hunter, who had seen her tanning and just couldn’t resist. And even though neither of them knew it at the time, this silly little interaction would be the start of a beautiful friendship… and eventually an even more beautiful marriage. 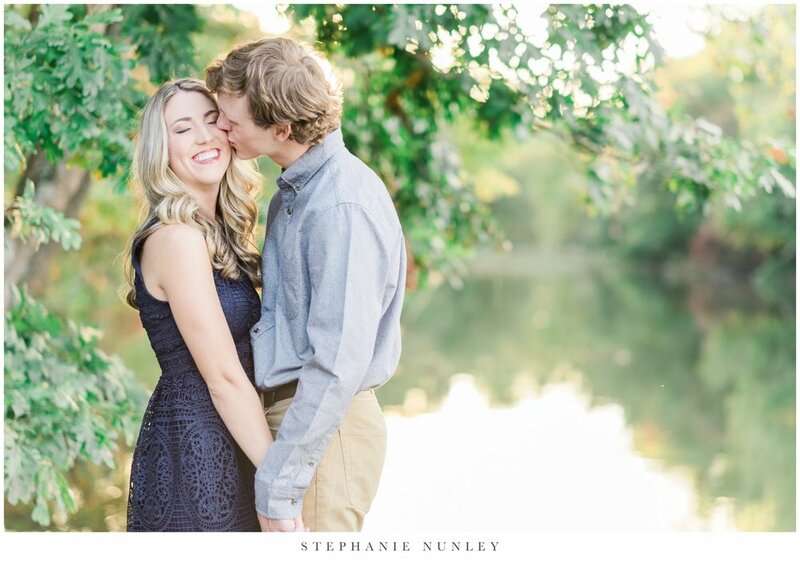 I met Hunter and Courtney a few months ago while I in Little Rock, and I knew from the moment I met them that these two were something special. I instantly loved Courtney’s passion for photographs, and I just knew these two were going to be so much fun to work with. So I wasn’t surprised at all when, earlier this week, we met up at Lake Fayetteville and just had the best afternoon together. We spent the first hour or so in a field near the lake, then headed over to a nearby dock and finished their session with a few photographs at the beautiful scenic overlook by Lake Fayetteville just as the sun dipped behind the trees. The location was perfect and these two looked fantastic together, but the thing I was most impressed with was how apparent it was that they were crazy about each other. 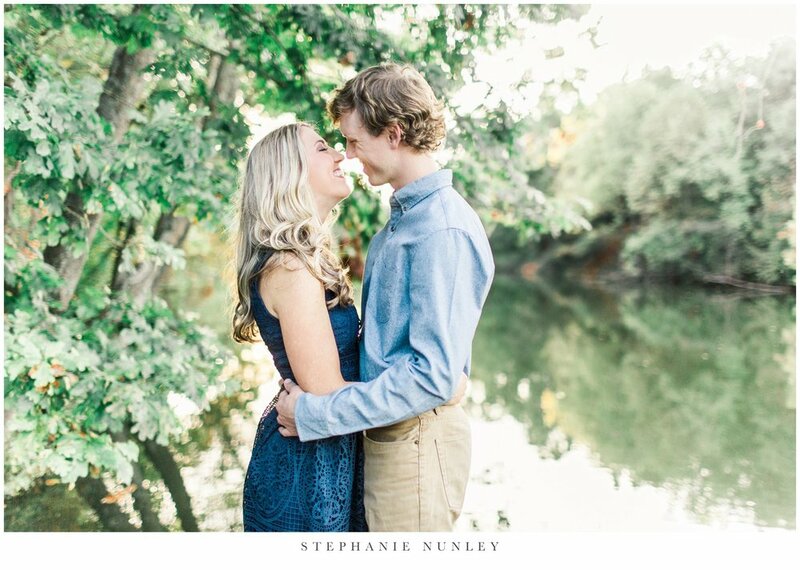 Courtney and Hunter, thank you so much for driving from Searcy and allowing me to photograph your love. I hope you cherish these images forever.